In the years since the mortgage crash, the housing market has been through its ups and downs. As a result, there have been some mortgage scams out there that some unscrupulous people have tried to rip off home owners and potential home owners. Predatory lending and mortgage scams were especially common right after the market crashed. There were many desperate homeowners who needed money fast, and were often easy prey for all types of real estate scammers. These types of scammers are very good at telling people what they want to hear. Even if you are suspicious at first, in desperation you may end up giving one of them money or signing documents that you shouldn’t sign. Thieves pretend to be attorneys or mortgage professionals who offer to modify the mortgage or refinance it. The borrower signs ‘modification papers’ and one of them is a deed that after it is signed, transfers the ownership of the property to the scammer. This scam works because scammers know that people are focused on all the money that they can save. If someone is promising you the world, it’s too good to be true. Never pay an up front fee for a loan modification. There are many stories of homeowners being scammed out of up to $5000 for a loan modification that didn’t happen. The scammer will say that there is no charge for the service but the fee is for preparing the documents. They also will use official sounding government programs such as HAMP or HARP to fool the homeowner. Read more about mortgage relief scams from the FTC. The Consumer Finance Protection Bureau outlines methods of loan modification fraud. Banks very often buy and sell mortgages and scammers know it. They come up with fake companies and pretend they are the new owners of the mortgage loan. They will provide you with official paperwork and will tell you to send the mortgage payment to them. The worst part of it is that the loan is not really being paid and some homeowners have defaulted on their mortgage and lost their home. Fannie Mae and Freddie Mac Mortgages have gone to extensive lengths to help consumers protect themselves against financial scammers. Remember, if you ever get a letter that says your mortgage was sold, you need to verify it before you ever send a check. Learn more about how to prevent loan scams from HUD. The elderly are easy targets for scammers. They may not be quite as sharp mentally as they once were and are likely to have equity in their property. Scammers will set up a number of different reverse mortgage loan scams. A reverse mortgage allows the homeowner who is over 62 to borrow equity from the home and not make monthly payments. The scammer probably wants to steal the equity in the property. Experts warn that these reverse mortgage scammers use very slick marketing campaigns that are very easy for older Americans to fall for. The FBI has posted some helpful tips for avoiding reverse mortgage fraud. Do not accept payment from people for a house you did not buy. Seek out your own counselor approved for a HECM or reverse mortgage. Public records allow scammers to know when a home is being foreclosed. Once the distressed homeowner is identified, they will try to persuade them to sign a quitclaim deed. This transfers the ownership of the home into a land trust. The scammer will promise that the deed transfer is just temporary. He will say that you will be able to rent the home from the new owner. You will even be able to buy it back from the new owner when you get your finances in order. You will then be told that you need to sign the documents so the firm can make the loan payments and stop your foreclosure. Also, the scammer will show you a lease/buy back agreement that will show how much you will pay in rent and will explain that you may buy back the home. The scammer might just collect your rent payments and let the bank throw you out of the home. Or they may just change the locks and sell the home. Remember, if people approach you and ask you to sign away the home so they can make your payments, it is probably a scam. 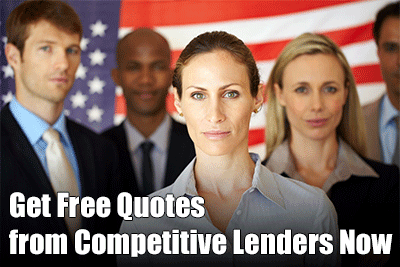 Get educated and take steps to prevent predatory mortgage lenders and brokers. The mortgage crash had many terrible consequences. Not only did people lose their homes and billions in equity. They also sometimes fell for scams from devious people because they were desperate and down on their luck. Be careful not to pay to many origination fees with bad-credit loan mortgages just because you have credit problems in the past. You also shouldn’t have to pay hefty application fees on a zero-down house loan. No matter how down on your luck you might be, it is very important to stay on your toes when it comes to any deals on your personal residence. If you ever had any shred of doubt about the legitimacy of a company you are dealing with, stop the transaction and do some careful research. A good place to start is to do a Google search for the company name and see if anyone has had any bad experiences in the past. Some of these fraudulent companies change their company name every month, so you may have to do some digging. You also can call your local board of realtors or state regulatory office to check out a company that you don’t feel quite right about.